The 2015 Chevy Colorado is now available. Don’t be surprised if you see some of these awesome vehicles while you’re out and about. And if you’re really lucky, you’ll probably get to see it from the inside! A lot of people have been wondering about the 2015 Chevy Colorado Release Date. Well, initial estimates put it in Fall for 2014. You know what that means? It’s now available. That’s right! We have the new 2015 Chevy Colorado! If you want to check out the Colorado yourself, browse our inventory or are looking to purchase one you can go ahead and call our World Class Internet Department at (800) 680-0835. We’ve recently taken it for a spin and have several videos on our YouTube channel. For instance, we’ve got videos of the interior, payload and towing capabilities and things borrowed from it’s Silverado big brother. We’ve also got several blogs written so far about our experience with it including price points, a “Class Winning and Leading Technologies and Stuff” and even an overview on the new GearOn system. If you’re one of those people who are more comfortable emailing or texting than talking on the phone we’ve also got you covered. You can fill out this form to reach our World Class Internet Department and someone will be in touch with you very shortly. 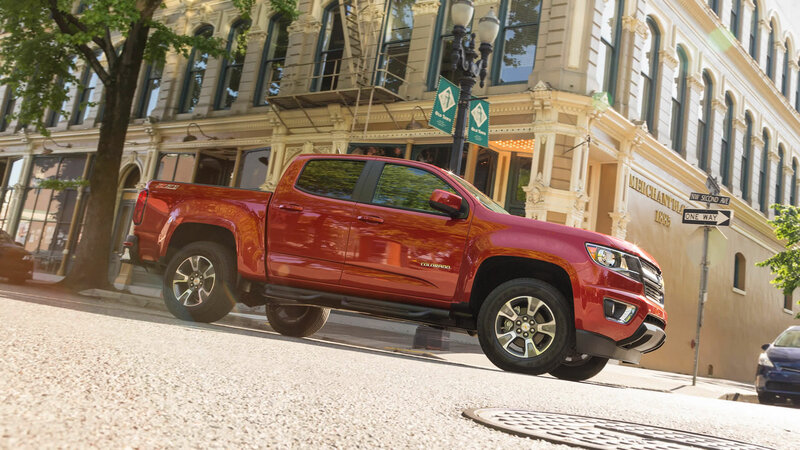 We hope you enjoy the new 2015 Chevy Colorado as much as we do!